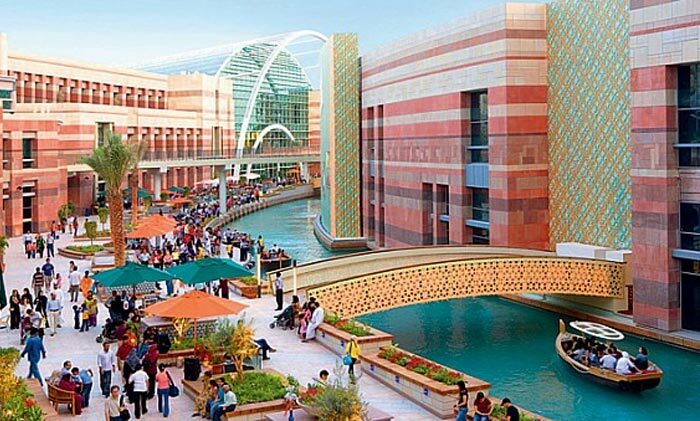 Dubai Festival City Mall is a landmark 2m sq. ft. urban retail resort which forms the epicenter of Dubai Festival City now acknowledged to be one of UAE’s most exciting retail, dining and leisure attractions. Set on the historic Dubai Creek, Dubai Festival City Mall, offers world class retailers, restaurants, cafés and bistros, a 12-screens Novo Festival Cinemas complex and a parking for 7,000 cars. It also boasts some of the emirate’s most photographed sunset vistas. With over 400 stores and restaurants, and some of the best themed attractions in the world, there's never a shortage of special events going on. At Dubai Festival City, we work with each of our partners to ensure they are making your enjoyment a top priority. Be sure to frequently check back and find an event that's just right for you. Step into this mega mall for an inspiring combination of shopping, dining, and leisure attractions. This 185,806 square-meter landmark on the banks of Dubai Creek boasts over 400 stores, 90 restaurants and cafes, a 12-screen multiplex cinema and a bowling alley. With stores ranging from high-end designer fashion brands, such as Carolina Herrera to affordable high-street chains likes Forever 21, you're guaranteed not to go away empty handed. You'll enjoy a leisurely shopping experience in this spacious and light-filled mall. An IKEA and Hyper Panda supermarket are popular with locals. And there's much more. Stroll along the charming Canal Walk and take a sunset ride on an abra before dining at one of the waterfront restaurants. Sample authentic Emirati cuisine at Al Fanarrestaurant or head to the Marina Restaurant Pavilion for delicious international fare.